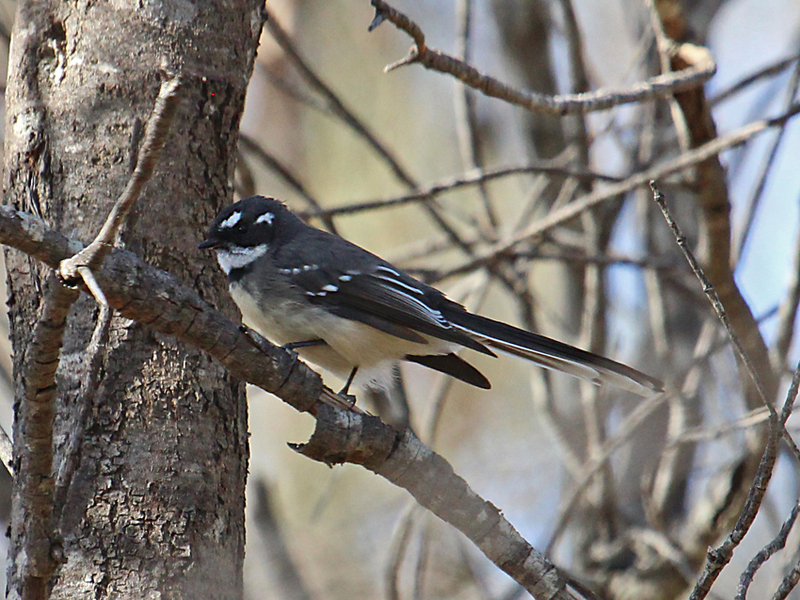 There are tiny birds flitting through the canopy and squabbling in the bushes either side of the walking trail that snakes its way through the scrub. 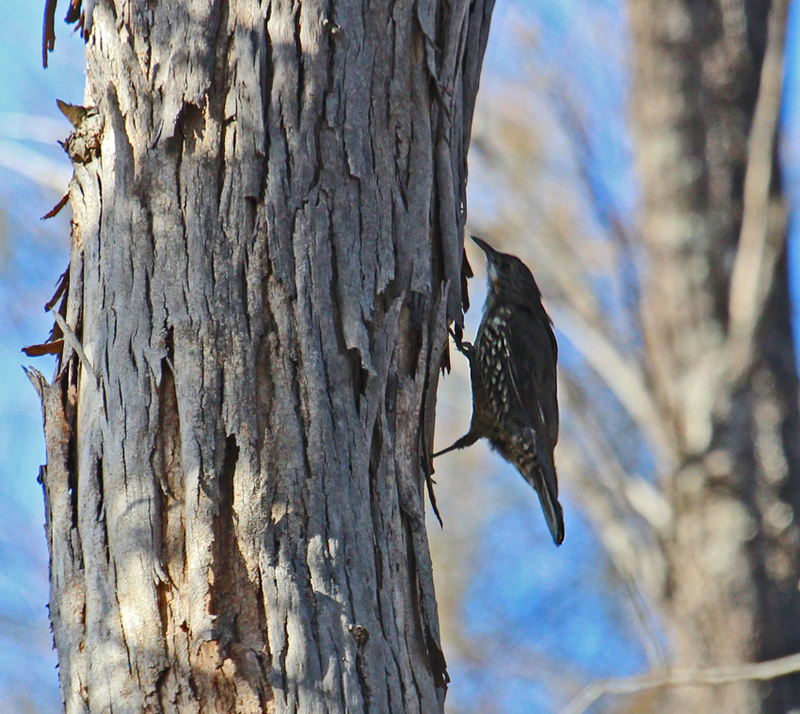 Occasionally they settle for just a second or two and feed on Autumn’s few remaining blossoms or probe for insects beneath the bark. The birds move quickly, giving me just a split second to focus and fire; which is my excuse for some of these images not being quite as sharp as I would like. However, they do give an accurate depiction of what searching for wildlife images in dense scrub, is really like. After walking across a small footbridge, I find a clearing and sit on a fallen log and wait in the shadows for ten minutes. 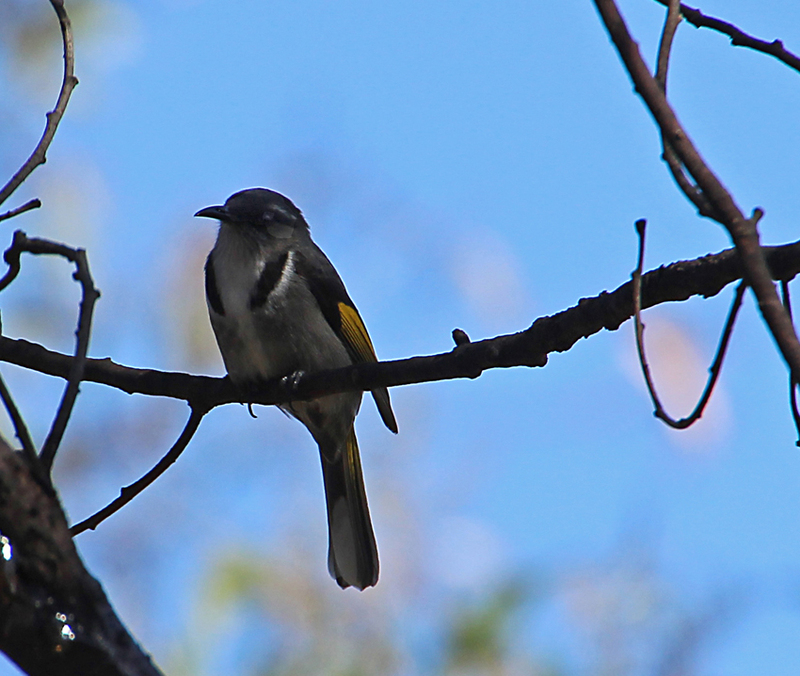 Birds are still twittering deep in the bushes, heard but not seen; but most have moved on. 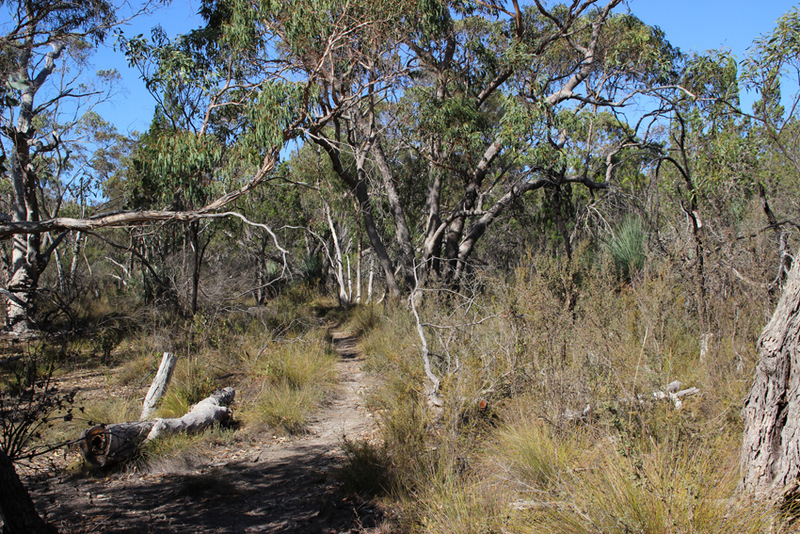 Jenkins scrub is a remnant area of the original bushland that once covered the Adelaide hills. The light sandy soil supports a wide range of shrubs, grasses and delicate flowers including native orchids. Tall eucalyptus trees complete the ecosystem which is traversed by a series of narrow trails. The scrub lies just off the Springton road, a pleasant 50k hills drive from the city. 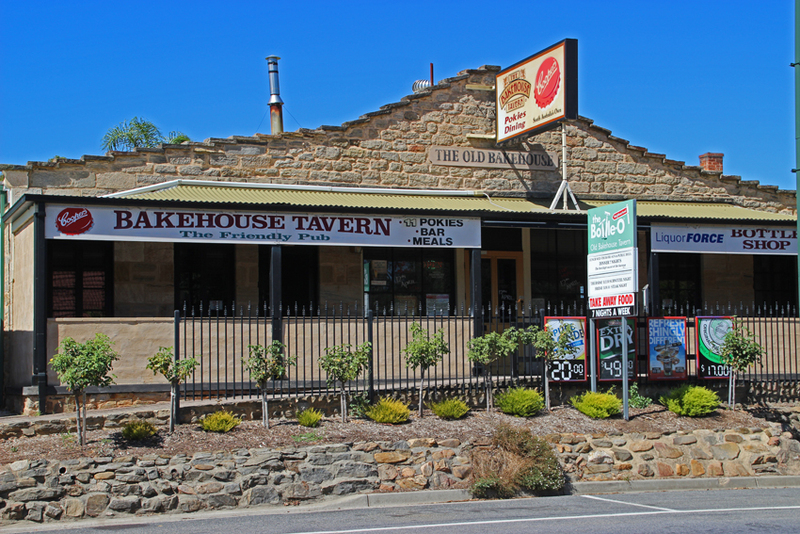 A lunch stop at the Bakehouse Tavern in Williamstown, just 10 Kms from the park’s entrance, is a good way to break up the drive. 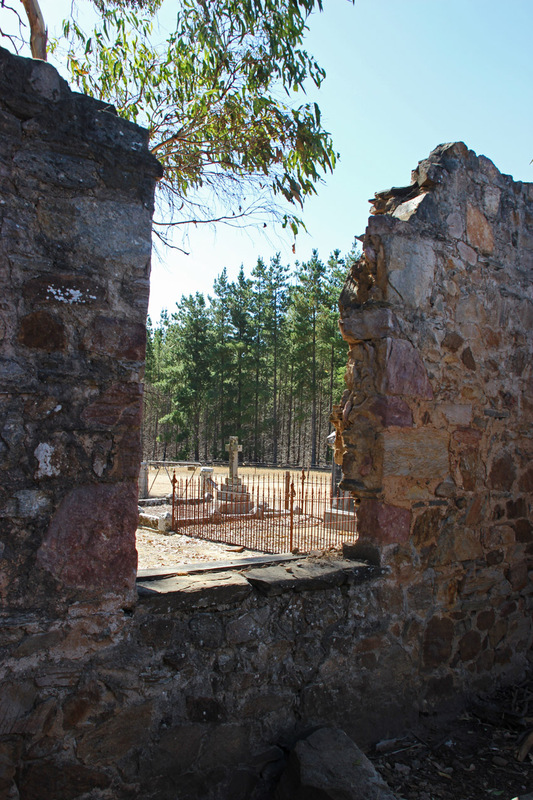 Or, you can buy a pies and cake at the bakery to snack by the old cemetery on the edge of the adjoining pine forest; somewhere to explore the personal histories the people who settled this region. Hefting my long lens from the pack I continue my walk. The understory is littered with leaves and fallen branches which provide a home for a plethora of insect and retile species. 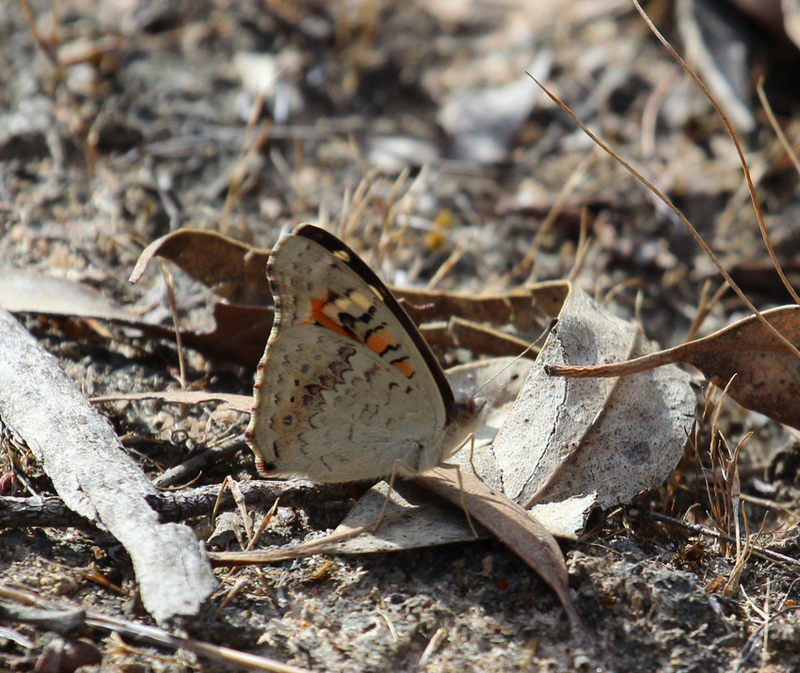 There are quite a few butterflies in the area and every so often one settles in the leaf litter. They seem to spread their wings a couple of times then rest them upright exposing only the underneath which blend perfectly with the bleached leaves and twigs. 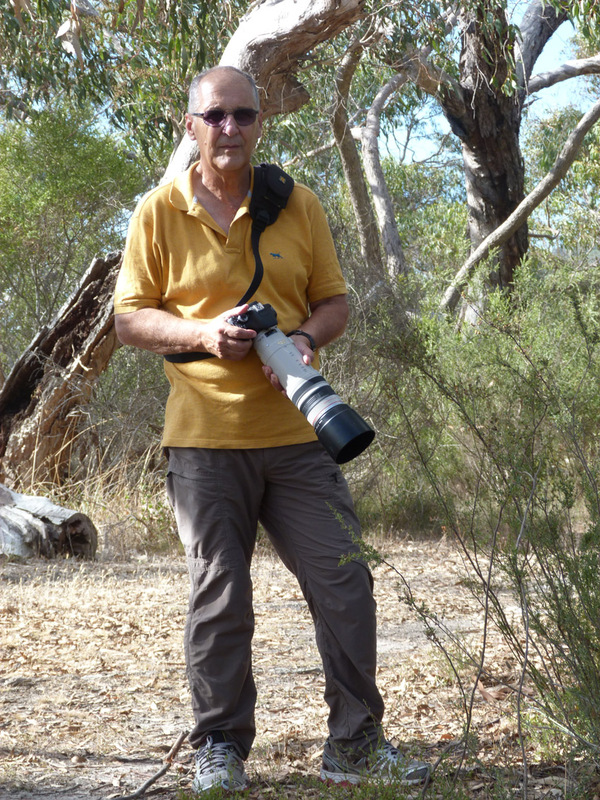 Another hour’s walking produces a few more images, shot at long range, and a memorable encounter with a pair of kangaroos which are feeding deep in the bush. I try for a better angle to get a clear shot but they quickly hop into deeper cover. By the time I reach the car it is a welcome refuge as some large bush flies have emerged in the late afternoon and the insect repellent is in the glove box. Just as I am about to turn on the engine I hear the shrill call of rosellas. 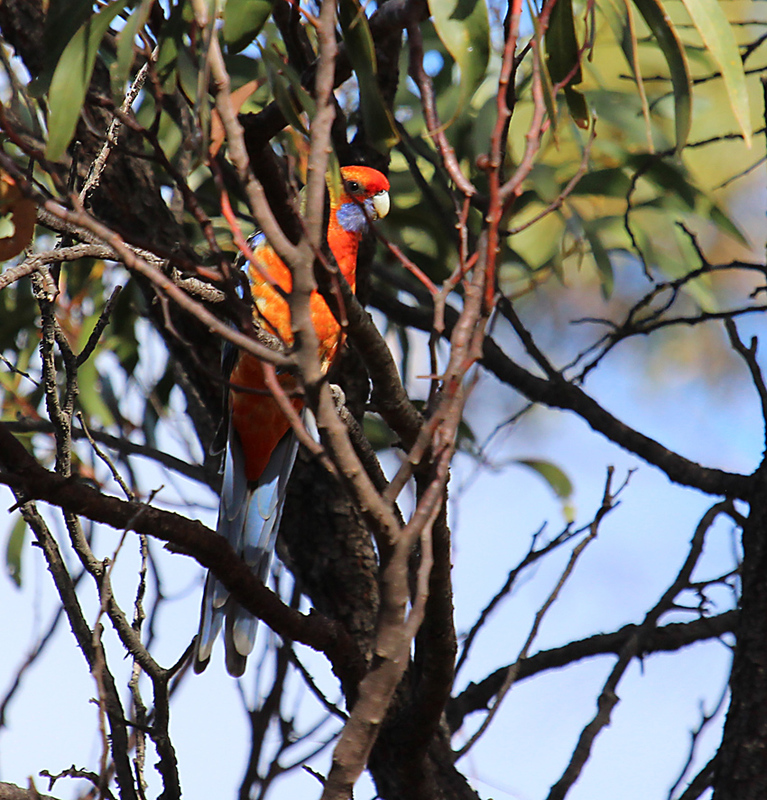 Luck is with me and the birds settle in a gum tree just within camera range of the car. Three quick frames and my day ends on a high or so I think. 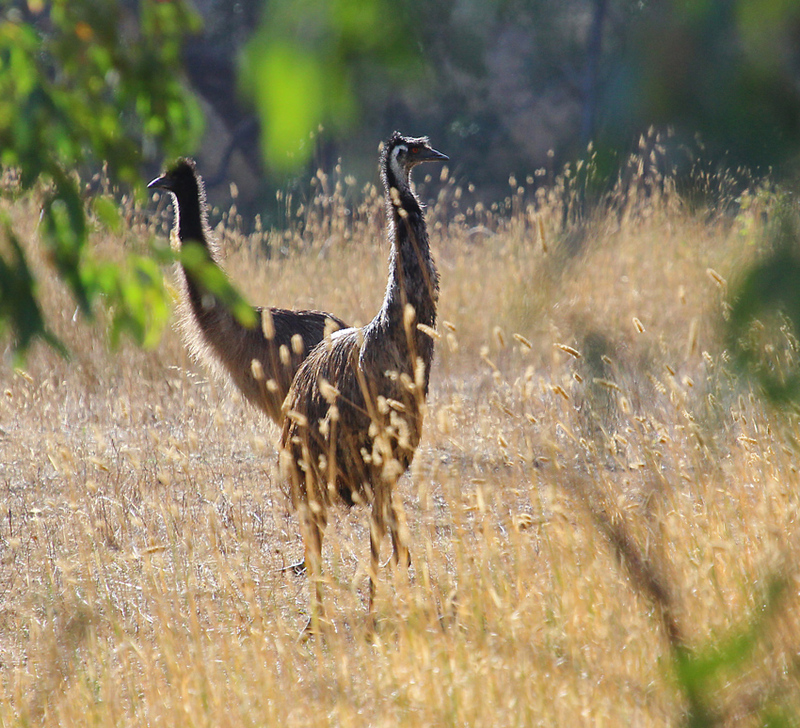 It turns out that the 2 Km drive back along the dirt to the Springton road has a final surprise; three young emus feeding in a field of stubble just a ‘stone’s throw’ from the roadside. i like your website. i came here after seeing some very tiny finches on reeds at port noarlunga trying to find out what they are.